If you've taken HERS Rater training and passed the four RESNET exams, then you're ready for the next step toward RESNET HERS Rater Certification! All HERS Rater candidates are required to complete 5 energy models in order to get certified. In this training, you will complete 2 of your "probationary ratings" from the comfort of your home, with 3 to be supervised under your Quality Assurance Provider. Get your energy modeling experience HERE & satisfy this requirement! Energy modeling is an analytical approach to evaluating home energy performance, using sophisticated computer software. Energy auditors and HERS Raters use energy modeling software to calculate the impact of suggested energy retrofit measures, estimate energy use of a new home, and/or determine the proper sizing of HVAC equipment. Energy modeling software takes into account home and equipment sizing data as well as local weather, construction materials, and thermal load data to predict resulting energy use, occupant comfort, and energy costs. With Everblue's online Energy Modeling Training course, you will learn how to use the leading software program in the industry - Ekotrope. Get started today! Course Description: As many in the home performance industry know, anyone who's anyone uses Ekotrope. This accredited, award-winning energy modeling software is considered the best in the business. 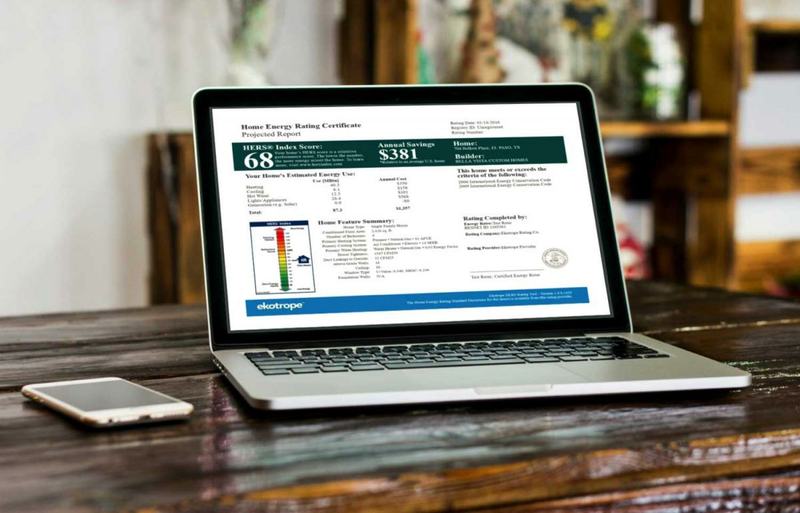 For HERS Rater candidates looking for direction, Everblue's online Energy Modeling course provides a strong foundation for professionals who are serious about improving energy efficiency in new and existing homes. We're proud to provide this convenient online training program, which will introduce HERS Rater candidates to the importance of home energy modeling and the mechanics of using Ekotrope in the field and in the office. Prerequisites: Completion of HERS Rater Training and passing score on all four RESNET certification exams. Audience: The course is ideal for home energy professionals committed to improving their careers and earning the esteemed RESNET HERS Rater Certification. Register now online or call us at 877-678-8340 to set up your order. We accept all major credit cards, check payments, PayPal, and financing through Affirm.